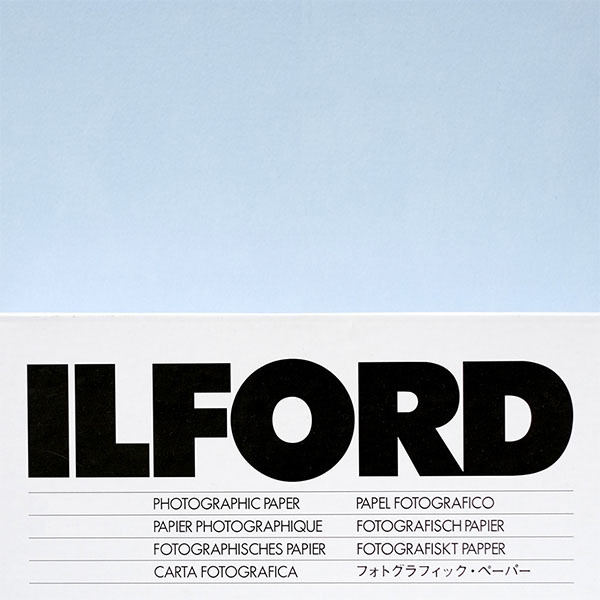 Ilford Multigrade Resin Coated Paper is a high-quality black and white darkroom paper. Originally released in 1940, Ilford’s Multigrade paper has evolved over the years and become the go-to choice when it comes to resin coated paper. The pearl finish gives the paper a subtle pearlescent surface that helps your images look sharp and clear with some added depth. It also has a bright white base colour and will give a neutral image tone to your images. Ilford Multigrade Resin Coated Paper Pearl Rolls are available in 9 sizes. This is a special order item. Orders can take up to 2 weeks to arrive. Ilford Multigrade Resin Coated Paper Pearl is a high-quality black and white darkroom paper. This is a paper designed for printing in a traditional black and white darkroom. Originally released in 1940, Ilford’s Multigrade paper has evolved over the years and become the go-to choice when it comes to resin coated paper. It’s perfect for beginners and professionals alike. This particular paper comes in the popular pearl finish. Giving it a subtle pearlescent surface that helps your images look sharp and clear with some added depth. It also has a bright white base colour and will give a neutral image tone to your images. Ilford Multigrade is a variable contrast paper, which means that it is possible to get the full range of contrast from your negatives. Simply use in conjunction with a multigrade enlarger and you can print from grade 00 through to 5. If used without any filters on your enlarger, it equates to approximately grade 2 or 3. Multigrade Resin Coated Paper Pearl Rolls are available in 9 sizes. Not the paper for you? Why not have a look at the other darkroom papers we stock. Ilford Multigrade Resin Coated Paper also comes in two alternative surface finishes; Glossy and Satin. Alternatively, we stock Ilford Multigrade FB Classic, and Ilford Multigrade Art 300. Your choice of darkroom paper can have a big difference on your final prints. If you are unsure about which paper to pick, why not read our guide to the difference between Resin Coated and Fibre Based papers.